Our Social Skills 4 Kids is an English-speaking group course for children aged between 7 and 15, split into three age groups: 7-9, 9-12 and 12-15. The course helps children learn the social skills they need in their every-day lives, helping them improve their self-esteem and confidence. As this is a group course, the children will have ample opportunity to practice their newly-learnt skills with the other group members in a safe and supportive environment. The course improves the children’s empathy, assertiveness and emotional awareness. Children learn to react more confidently in social situations. The groups are small enough to provide a safe space for all the children to flourish, yet large enough to enable them to learn from each other. Your support as parent (and, depending on their involvement, teachers) is essential to ensure the best possible outcome for your child. The course consists of seven group sessions focusing on a wide variety of social and emotional skills. The course uses methods that have been effective in both the short and long term, and are run by colleagues trained to work with the Social Skills 4 Kids programme. All our trainers are qualified child psychologists who are experienced with the Social Skills 4 Kids course. 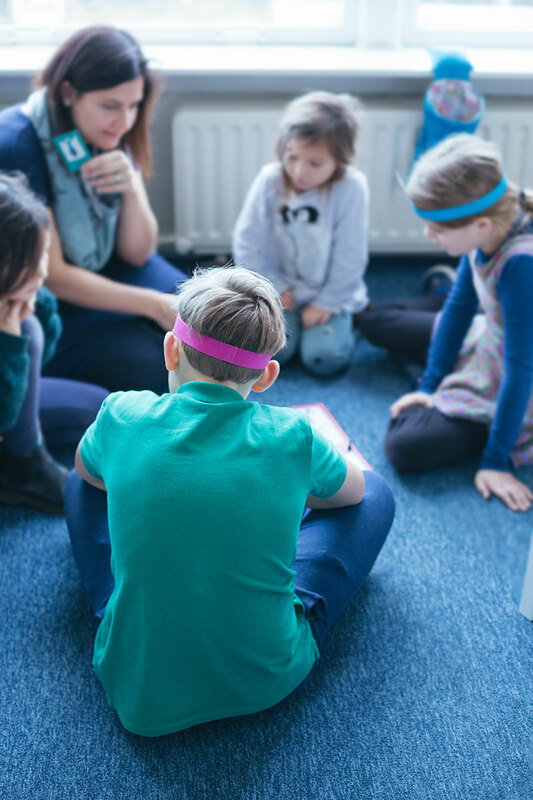 Skilled in observing the behaviour of individuals within a group setting, they adapt the course flexibly to meet the needs of the group as a whole and the individual children within it. This flexibility means that the course can meet the needs of all the children participating in it. Depending on the size of the group, the trainers may be assisted by an intern – a student in the last phase of their studies in psychology who wants to gain practical experience. 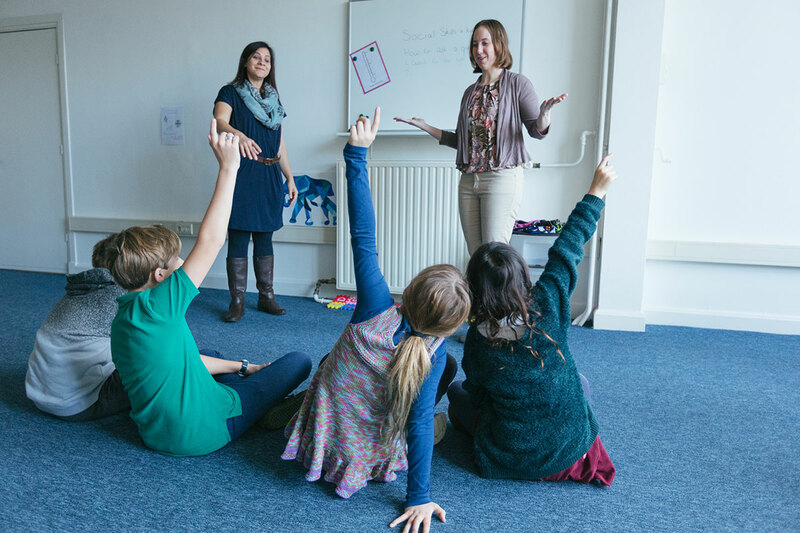 Courses are held regularly in The Hague and can be offered within international schools in Zuid-Holland, Noord-Holland, Utrecht and Flevoland on request. Includes: full course + two meetings with the teachers and weekly letters to the teachers to help them support your child while learning the skills. Includes: full course, two meetings with the teachers and weekly letters to the teachers, and 3 individual sessions for the child or parents to be booked within a year after the end of the course. Payment can be made in 3 monthly instalments. Not sure whether this is right for your child? Before the start of any Social Skills 4 Kids course, we offer a number of free, no obligation introductory meetings for parents. During this meeting you can share with us your concerns and questions about your child’s development and we can explain more fully the aims of the course, how we work and what you and your child can expect to get out of it. If you decide the Social Skills 4 Kids is not what you need or we feel it’s not the right course for your child, we can recommend other resources for you to consider. Keep an eye on our Facebook page or sign up to our newsletter to find out when the next Social Skills 4 Kids course is starting. Want to plan a free introductory meeting? Request a meeting by filling in this form. You can use this field to briefly state your specific questions or comments.